If you’ve signed up to my 6-week Whole-Body Plan you’ll know that I’m a fan of chia seeds. Actually, fan is a bit of an understatement. The truth is… I absolutely love them! You’ll have also heard me say that food should be our medicine and our medicine our food. Well, chia is the perfect example to illustrate this. So, here are just some of the benefits of including chia seeds in your daily diet which are based on science and not just the ravings of a very excited Irish nutritionist! Before we get into chia seeds, let’s touch on whole foods in general. We all know that eating natural whole foods in their raw state, is better for us than eating cooked and processed foods. Why? Because, not only does cooking and processing reduce valuable vitamins and minerals, it destroys the enzyme component of whole foods. Enzymes are needed for many biological processes such as our digestion, and if we can’t get the enzymes we need to top up our own internal supply, they soon run out which can need to numerous health issues. So, what can we do to prevent this? Well, we could reduce our consumption of processed food and increase the amount of enzyme-rich, raw whole foods in our diet. That’s where seeds come in. Seeds are amongst the most nutrient-dense of all whole foods. This is because all the good stuff the plant takes from the soil is pumped into the seeds ready for reproduction, so they’re a mega-rich source of enzymes. And, the king of all seeds with the most amount of nutrients than any other is chia. We should be taking in about twice as many omega-6 fatty acids as omega-3. However, we’re taking in much more omega-6 than that. Up to 20 times more in fact, and our bodies were never designed to cope with those levels. But, it’s difficult to avoid omega-6 if you include vegetable oils, margarine, fast food and the gooey sweet stuff from your local bakery in your diet. Even meat, which used to be a good source of omega -3 is now dominated by omega-6. This is because confined animals are being fed omega-6 rich-grains instead of omega-3 dominated grasses they’re supposed to be eating. So, what does omega 6-and omega-3 do for us? Our bodies have a natural inflammation setting which kicks in if we have an injury. This is followed by anti-inflammation which heals the wound. The inflammation response is triggered by omega-6 whereas omega-3 takes care of the anti-inflammatory response. If we have 10 times more omega-6 than omega-3 we get all kinds of local and systemic inflammation which is now linked to all major degenerative diseases. Where do chia seeds fit into this? 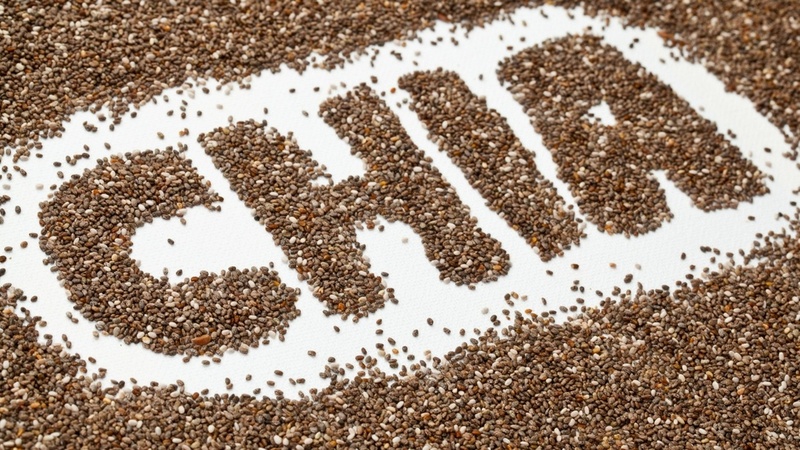 Chia is the highest plant source of omega-3 fatty acids (over 62%). In fact, it has 8 times more omega-3 fats than the equivalent weight in salmon. It also has a good balance of omega-6 fats to improve the balance of both essential fatty acids. You may have come across weight loss meal replacements which expand in the gut to leave us feeling fuller for longer. The only problem is that they rarely have any natural nutritional benefits (and are loaded with high corn fructose syrup and palm oil into the bargain). So, what natural food supplement can you take to help you feel full and which is also jam-packed with even more nutrients than your average meal? You guessed it…chia. If you add a tablespoon of chia in a glass of water for about 10-minutes, it turns into a thick nutrient-packed gel which you can add to freshly squeezed juices for even more nutritional impact. Children love this orange, apple or watermelon ‘jelly’ which puts a bit of fun into supplementing their diet with healthy stuff. I’ve also got a recipe on my website for chia pudding which gives a great start to your day so click here to check it out. 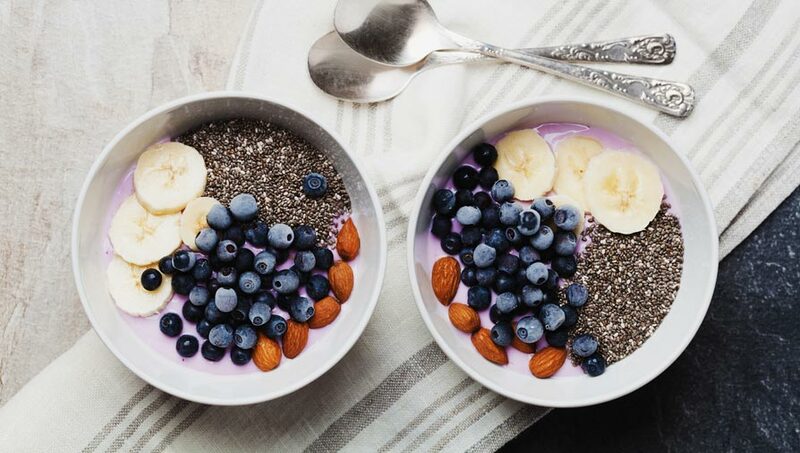 Chia also contain 30% soluble fibre which can be added to high GI foods to help avoid the normal blood sugar spike associated with simple carbohydrates which are quickly absorbed into the blood stream. Try adding a little chia gel to your mashed potatoes to reduce the high GI content, or keep a shaker of chia seeds beside your salt and pepper and sprinkle them over your food. I’m all about changing habits a bit at a time, 20% change = 80% of a difference, so by simply adding chia seeds to your diet will help you on your way to your new-found healthier lifestyle. Next Post: Is Counting Calories the Answer to Healthy Fat Loss?